BUT I LIVE IN THE UK? Yes, we know that talk of sun damage may seem a bit redundant in our mild, damp climate (we’re trying to put it politely). But partly because we so seldom see the sun, we’re sensitive to it. And when it does make a rare appearance we’re tempted to make the most of it, often unprotected. In the short term, exposure to sun can cause sun burn, while long term damage includes ageing of the skin and in some severe cases, skin cancer. We don’t suggest that you sit in a darkened room until sundown. Just follow our easy guide and take care. Even on sunless, cloudy days, keep your face protected with Somersets SPF15 replenishing post-shave moisturiser. The Shea Butter, Japanese Green Tea and Vitamins A and B help restore the skin’s natural balance, while the sunscreens will protect against UVA and UVB rays. 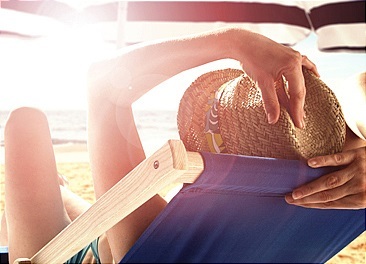 On rare hot days, or if you’re in a sunny climate, try to stay out of the sun between 10am and 3pm. Another way to determine when to stay out of the sun is by following the shadow rule: when a person's shadow is shorter than the person is tall, the intensity of the UV rays from the sun is more likely to cause sunburn. If you have to go out, always wear a long-sleeved shirt and long trousers to protect your skin. Long-sleeved cotton t-shirts are best, and loose fitting clothes will keep you cool. A wide-brimmed hat that offers a lot of shade is the best choice for protecting head, face and neck. This is really important and not just because it leaves your skin supple. After shaving, you’re more vulnerable to sunburn so Somersets moisturiser contains sunscreens to protect against UVA and UVB rays. 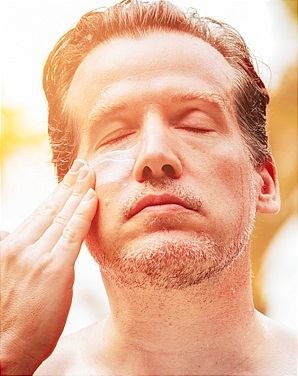 Sunscreens provide protection by absorbing, reflecting or scattering the sun's rays. Always apply sunscreen about half an hour before you go out and remember to re-apply it after swimming or perspiring heavily. Sunscreen rubs off easily if you sweat, swim or change clothes. You should always wear a sunscreen with a protection factor of at least SPF 15.